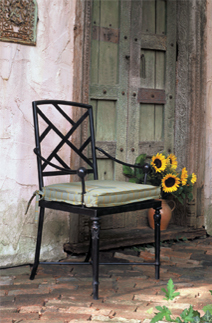 Editions presents a collection of hand-crafted, aluminum garden furniture. Classic, timeless designs in seating and occasional pieces of the highest quality with custom sizing. Seventeen powder coat finishes as well as custom powder coat colors. Extreme attention to details in construction, fit, finish and upholstery places this collection in a class few can match. We invite you to view this exciting line.